iVenture Andalusia Card is a Smart card that includes the main cultural and leisure options , as well gastronomy options, in the most emblematic places in Andalusia. Depending on your interest, you can choose between 3, 5 or 7 activities or an unlimited option so as to enjoy all the activities (there is a list of over 40 activities and excursions). English and Spanish languages guaranteed. There are other languages available depending on tours conditions. • 1 day ticket Fuengirola City Tour Hop on – Hop off. • Equestrian Show Cordoba: Entrada show. • Guadalquivir River Cruises: Ticket entrance. • Seville Aquarium: Ticket entrance. *All guided tours will be provided in English and Spanish language. Ask about other languages. 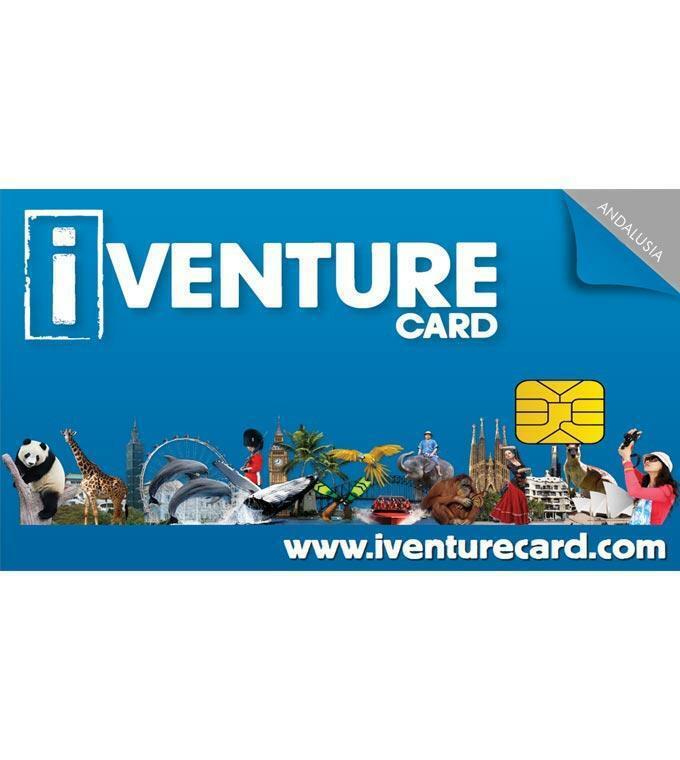 To receive and use iVenture Card activation code is required, get it at http://redeem.iventurecard.com. High Season: Mon to Thu: 10.30 to 14.00 (Friday until 13.30) & 17.30 to 20.00. • Once you activate the card, you have 7 consecutive days to see as much as you have selected before it expires. • Andalucía Flexi Pass 3: To choose 3 activities from a list of 38. • Andalucía Flexi Pass 5: To choose 5 activities from a list of 38. • Andalucía Flexi Pass 7: To choose 7 activities from a list of 38. • Andalucía Flexi Pass Unlimited: All 38 activities. With Flexi Pass 3, 5 or 7, you can enjoy only one of the noted excursions combined with the rest of activities. If you would like to enjoy all, you have to choose Flexi Pass Unlimited.